parentwin: Santa's Hideout, the New Letter to Santa? Well, the holidays are nearly upon us now, and as much as I'm dreading it, I'll not be able to put off my shopping much longer, I suppose. The twins being three, now, are all about Santa. They caught on last year. In fact, mom and dad apparently never get them anything. It's always Santa. Doesn't that figure? As they scurry to make their lists, hoping they've been good enough this year not to get any coal, you have to wonder, in this age of technology, will pen and paper suffice anymore? It's easy for me. I've just got my two kids who are the exact same age and want the exact same things to deal with. 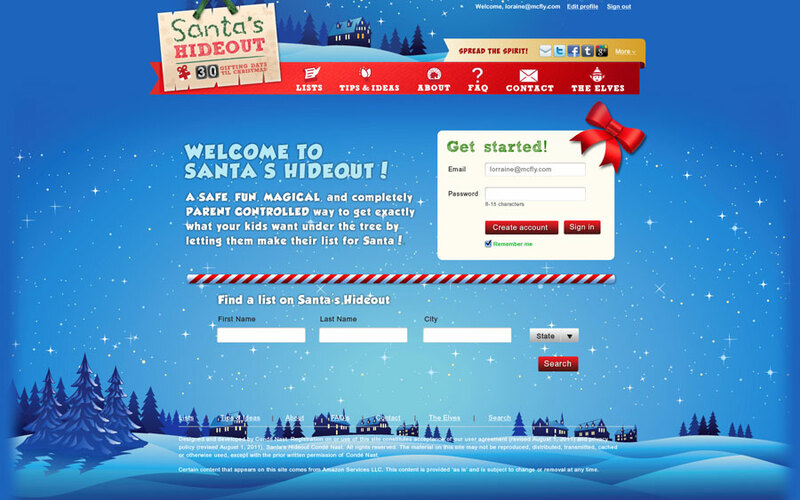 But if you've got a larger family, or more adventurous little ones, you might want to check out Santa's Hideout. It's like a large list that can be separated by child, put on by Conde Nast. 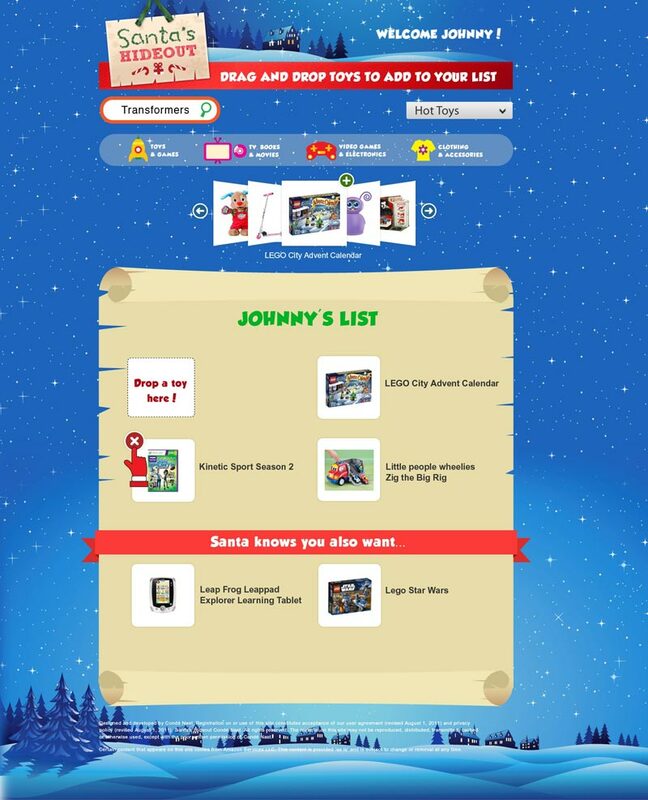 Each of the kids can pick out things they'd like and add it to their specific list which all goes to your account in one easily accessible area. Then you can go in and add or delete items as you wish. Since it's mobile-compatible, you can grab it from your phone as you shop. But you can do all that with a paper list, right? An added bonus to this program is that you can simply email the lists (or portions of the lists) to extended family and friends who are searching for a cute gift for your young ones. But then they'll all get the same thing, right? Nope! Once they purchase something, the site acts like a registry. They'll cross it off the list on their end, and you'll get a notification that the item has been bought. Then you delete it and the list updates to everyone automatically. And if emailing the list individually is too much hassle, you can post your piece through any social media. 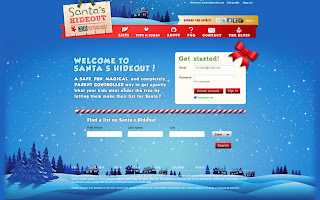 Santa's Hideout has a Facebook, Twitter, Tumblr or Google +. Another great option is that you can reserve gifts listed by your children as "Santa Only" presents, so that your relatives won't step on Santa's toes! Now, your kids are going to see a different website than you do when they go to update or view their lists. All they'll see is what they've asked for, no sections, no reserves, just their items. And you don't even have to go out to shop if you don't want to. The items can be purchased right from the list through Amazon. All I can say is, I'm glad that now that I'm a parent, shopping is getting easier. I don't know how my mother did it with that pen-and-paper list. Phew.